This comedian's comedian is poised to add some wit to you Facebook conversation. 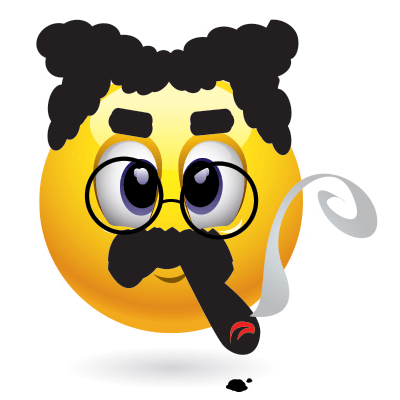 Pair this Groucho emoticon with a famous Groucho Marx quote like "I've had a marvelous evening, but this wasn't it." Send him along in a chat message to a fellow Marx Brothers fan or feature him in a post.